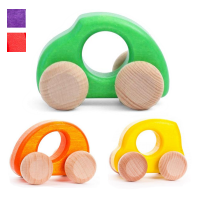 Turn the blocks to make the picture. 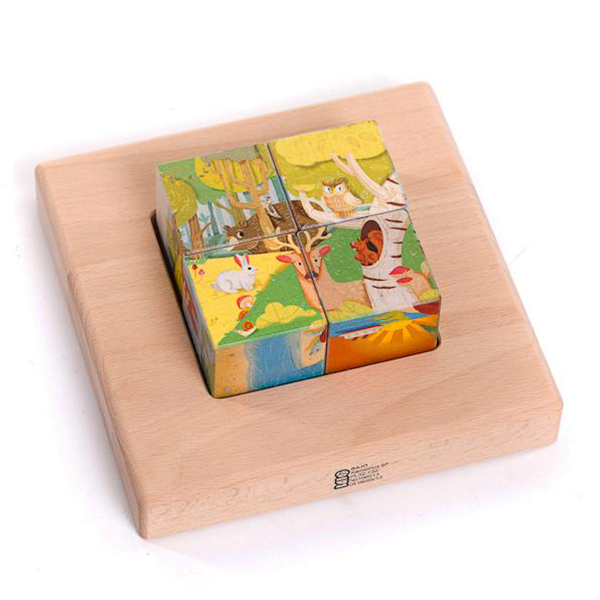 There are six landscapes to be found - which is your favourite? 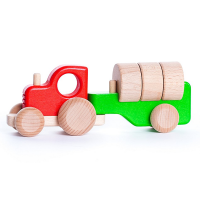 These chunky wooden blocks are generously sized to make it easy for little hands to grasp and lift. 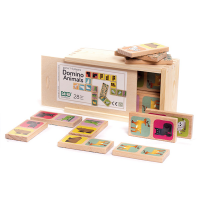 They fit into the handy wooden base tray, which lets you store them safely when they aren't being played with. 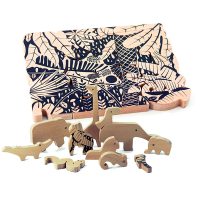 This lovely puzzle from Bajo is great for helping to develop your little one's dexterity, matching skills and improving concentration and logical thinking, as well as being simply fun to play with. 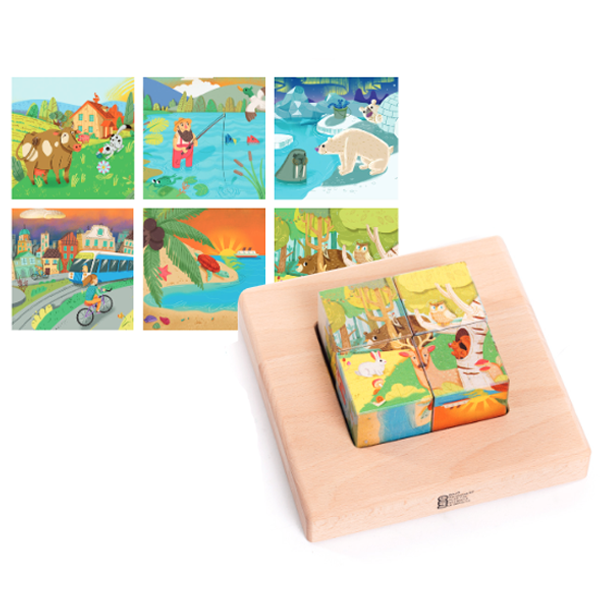 Scenes: forest, farm, city, lake, tropical island, artic. 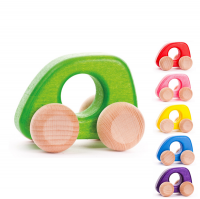 Made from Sustainable wood and certified non-toxic paints based on natural components.